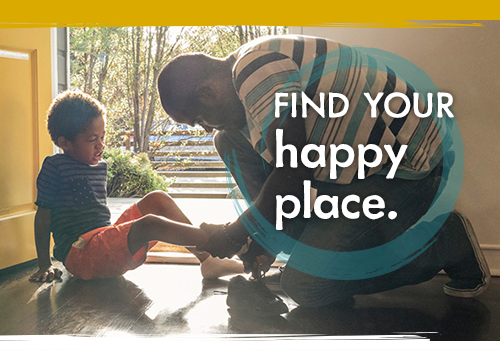 At Allegacy Federal Credit Union, we’ll always do the right thing for your wellbeing. That means helping you focus on what’s possible – saving for your new home. This is a unique product in the marketplace designed to help you get into the home of your dreams. Small opening balance with the option to add to it. With our 60-month Mortgage Saver Certificate, you can open it with as little as $50 and continue to add funds for your down payment. Systematic savings is a great way to reach your savings goals and we can set up an automatic transfer into your Mortgage Saver Certificate to help you reach your goals faster. Early withdrawal option. Find the home of your dreams? No worries. After 12 months of saving, you can withdraw your money without penalty to purchase your dream home as long as you’ve saved at least $2500 and have been pre-approved for an Allegacy mortgage on your primary residence. $500 towards closing costs. When you’re approved and close on your new home with your Allegacy mortgage, we’ll also give you $500 towards your closing costs (primary residence only). Can I have more than one? Individuals are limited to one Mortgage Saver Certificate. If two individuals have two certificates and opt for one mortgage, both can have the early withdrawal penalty waived; however, only one $500 credit will be applied towards closing costs. Are you ready to make your dreams of homeownership a reality? Stop by a Financial Center or apply online today to start saving! The Mortgage Saver Certificate is a 60-Month Certificate Account. Only one certificate per member. Only one closing credit per household. Certain restrictions may apply. All products, services and terms are subject to change without notice. *To qualify for the $500 closing cost credit and the no penalty for early withdrawal: member must have had funds in certificate for at least 12 months; a minimum certificate balance of $2,500.00; and apply and be approved for an Allegacy mortgage on their primary residence. With competitive rates and lower fees than most lenders, our mortgages are easy to live with, today and for years to come.